As part of the Philip Langridge Mentoring Scheme, through which I was mentored by Rolf Hind, the Royal Philharmonic Society were able to commission a new piece for me. I took the opportunity to ask Naomi Pinnock to write me something. I’d wanted to ask her for a solo piano piece since hearing her arresting, beautiful and dramatic Sting Quartet No.2 performed by the Arditti Quartet at the Huddersfield Contemporary Music Festival back in 2012. Naomi’s new piece is a sequence of miniatures entitled Lines and Spaces, inspired by the work of Agnes Martin (who was the subject of a recent retrospective at Tate Modern). I will give the premiere as part of my recital at hcmf// on Saturday 21 November, and will also play it in the Bridgewater Hall on 6 January 2016. 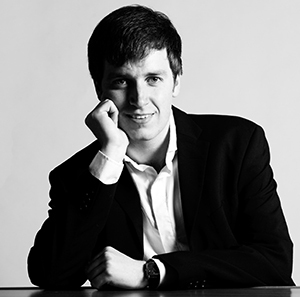 Watch pianist Richard Uttley talk about his experience of working with Rolf Hind as part of the RPS Philip Langridge Mentoring Scheme and his new CD, Ghosts and Mirrors. Author Royal Philharmonic SocietyPosted on 16 November 2015 16 November 2015 Categories Young MusiciansTags Classical Music, Mentor, Mentoring, Philip Langridge, Piano, Richard Uttley, Rolf HindLeave a comment on What is Mentoring? A special recital hosted by Sir Vernon and Lady Ellis offered the opportunity to hear and meet some of the outstanding young performers supported by the Royal Philharmonic Society. The beautiful drawing room of 49 Queen’s Gate Terrace provided an intimate setting for performances by the Wu Quartet, cellist Ariana Kashefi and pianist Richard Uttley, all current beneficiaries of the RPS Young Musicians Programme. As RPS Executive Director Rosemary Johnson explained, there is no simple or clear path for a musician who is graduating from college and establishing their professional career. Acknowledging this, the RPS Young Musicians Programme provides comprehensive and tailored support to exceptional artists throughout and beyond their training. In conversation with Rosemary following a spirited performance of Mendelssohn and Janacek, members of the Wu Quartet explained how their RPS Albert and Eugenie Frost Prize is helping them to expand their development and performance opportunities. 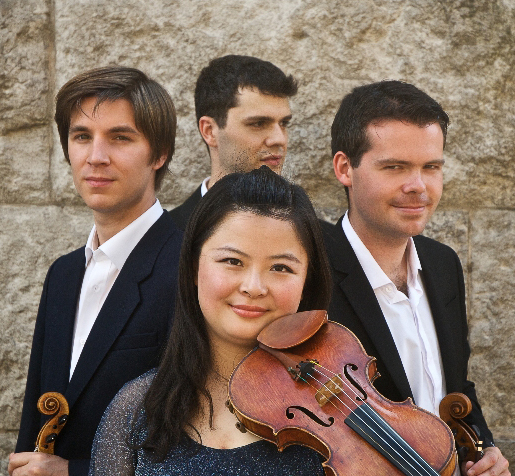 The prize enables them to travel to and from Germany, where the quartet is being mentored by Hatto Beyerle, former member of the Alban Berg Quartet and founder of the European Chamber Music Academy. Germany is clearly the destination of the moment. 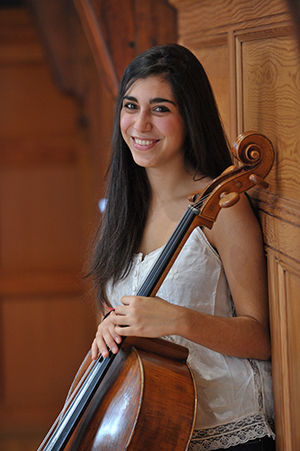 2013 RPS Julius Isserlis Scholar Ariana Kashefi will be using her grant to fund a two year Masters course at the Hanns Eisler Music Academy in Berlin. If the experiences of fellow Julius Isserlis Scholarship winner Emily Hoile are anything to go by (read her blog post here! ), or indeed the career of the scholarship’s first-ever recipient Stephen Hough; studying abroad is a fantastic opportunity to broaden one’s horizons. Ariana’s distinguished performance of Schumann’s Drei Fantasiestücke certainly suggested a promising future. With pianist Alison Rhind, she sensitively negotiated the dramatic mood changes so characteristic of Schumann’s music. Richard Uttley was joined by Rolf Hind, his mentor on the Philip Langridge Mentoring Scheme, to perform the piano duet Ma Mere L’Oye. Composed by Ravel in 1910, it is more familiar to many listeners as the orchestrated version which he completed the following year before expanding the work into a ballet. The rapport between Richard and Rolf, in addition to their outstanding technique and musicianship, bodes well for PULSE, the Royal Philharmonic Society’s new music and film commission for the PRS for Music Foundation’s New Music Biennial in 2014. The pair will be joined by two percussionists and two gamelan players to perform Dobrinka Tabakova’s score. With this and so many projects in the pipeline for all of these young musicians, the concert was a taste of great things to come.